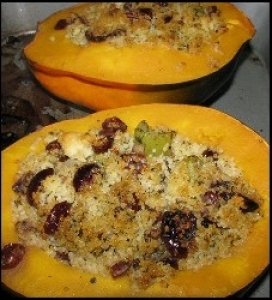 Have you made BEEF STUFFED SQUASH? 1. 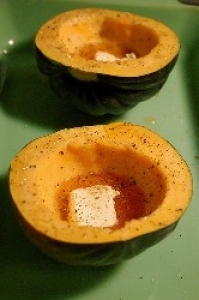 Wash the squash and cut in half lengthwise. 2. 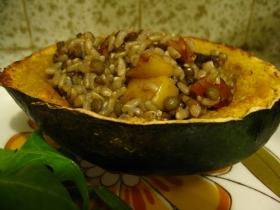 Remove seeds and pith. 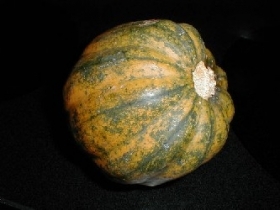 Place squash, cut side down, on an oiled baking pan. 3. Bake in a preheated 350f oven for 30 minutes, or until almost tender. 4. Meanwhile brown the beef in a large skillet. 5. Drain off excess fat. Stir in bread crumbs, parsley, onion, celery, tomato sauce, water, Worcestershire sauce, mustard, and corn. 6. Toss lightly to combine. 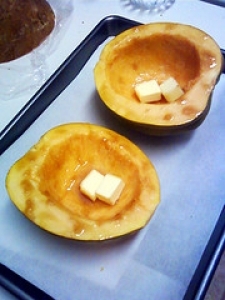 Fill the squash halves with the mixture. 7. 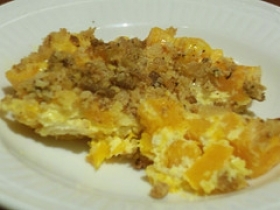 Place in a shallow pan, return to oven and bake 25 - 30 minutes longer or until heated through. This recipe contains potential food allergens and will effect people with Tomato, Corn, Malt, Mustard, Celery, Beef, Onion allergies.